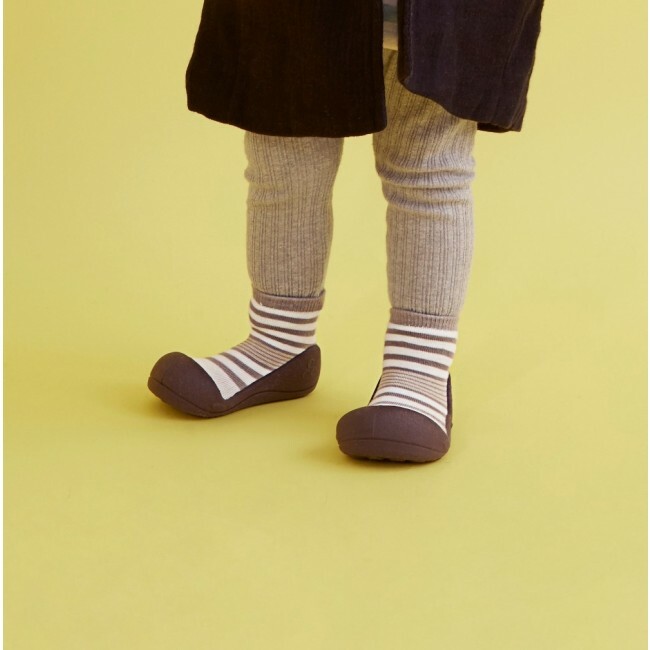 Vegan baby shoes with a striped design to delight every infant or toddler. 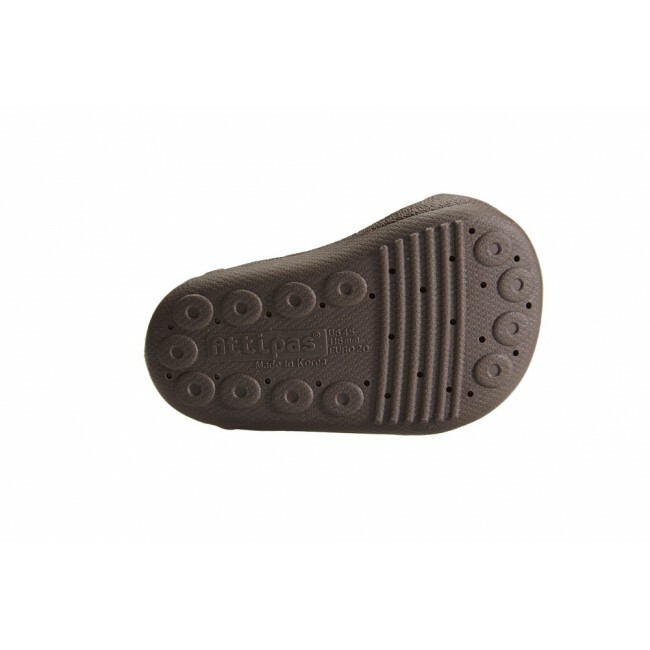 The soft sole is shaped to allow natural development of the feet in new walkers. 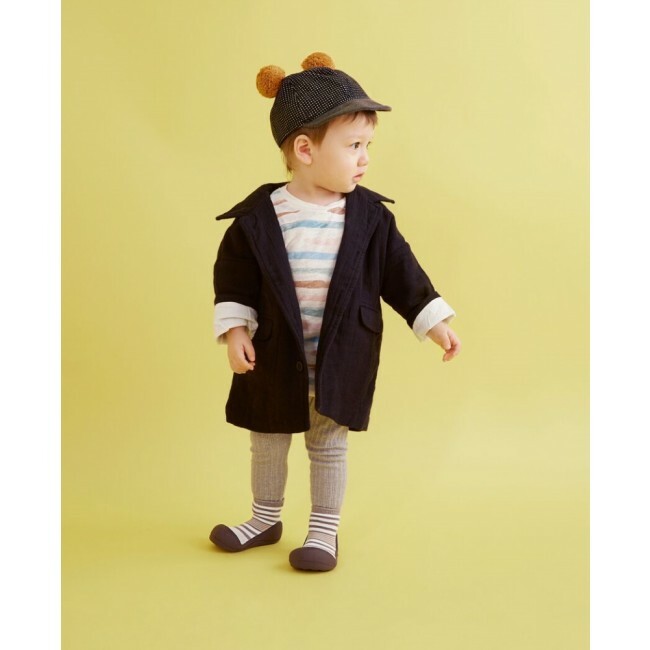 Attipas' range of organic baby footwear equals happy kids and happy feet. 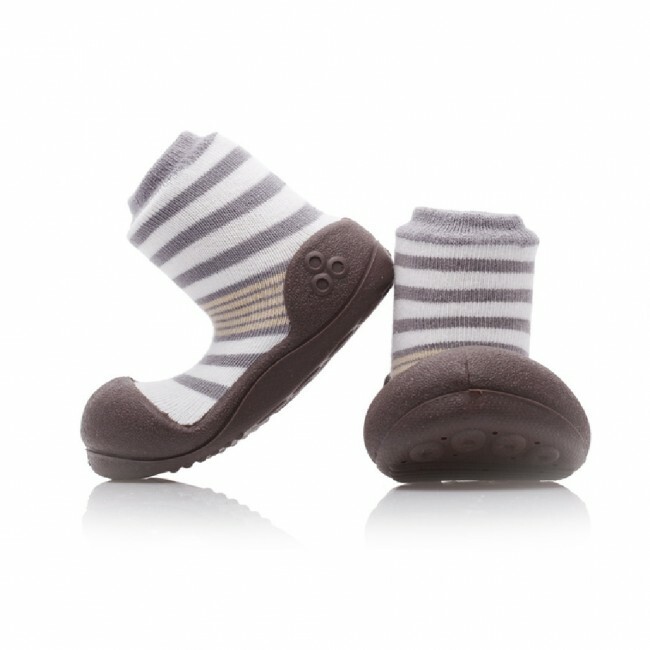 With their soft cotton upper and cosy pull-on style, they are a parent's dream of easy comfort for tiny feet. The natural extracts of Brazilwood, Indigo and Amur Corktree used to dye the fabrics have been proven effective in preventing allergies.